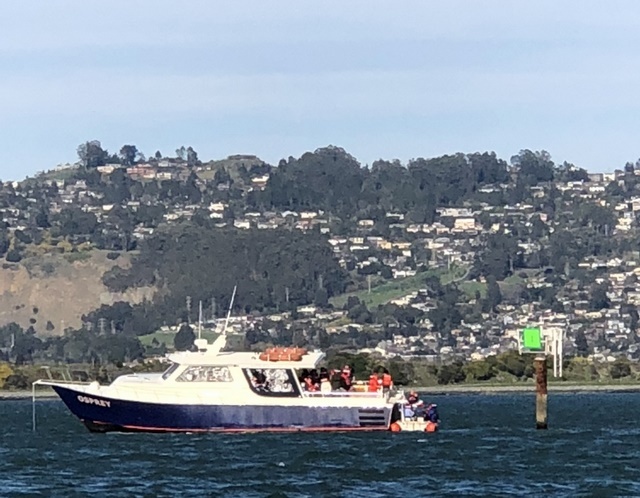 SAN FRANCISCO — Coast Guard and partner agency crews responded to a vessel aground with 43 people aboard near the Berkeley Marina, Saturday afternoon. 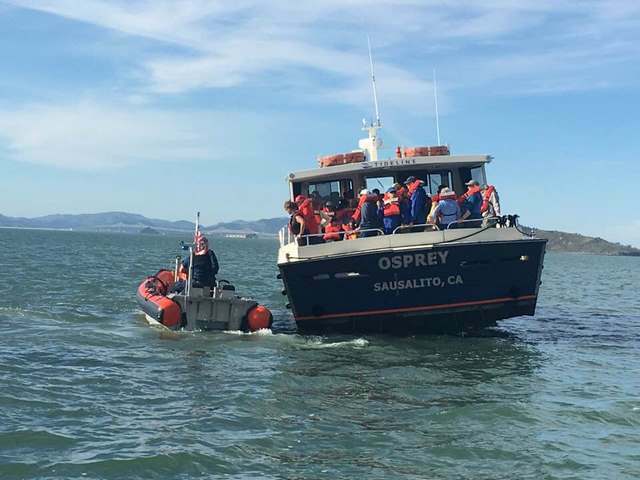 The crew of the Osprey, a 52-foot passenger vessel, contacted Coast Guard Sector San Francisco watchstanders at approximately 2:30 p.m., reporting that they had run aground in the vicinity of the Berkeley Marina and were in need of assistance. 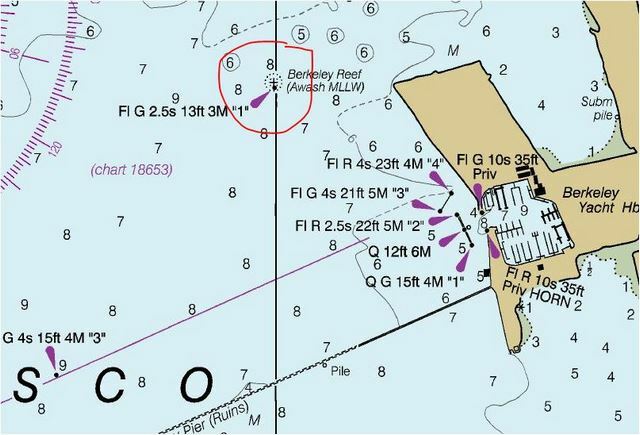 Sector San Francisco issued an urgent marine information broadcast and dispatched rescue crews from Coast Guard Station San Francisco, Coast Guard Air Station San Francisco and the Coast Guard Cutter Sockeye. 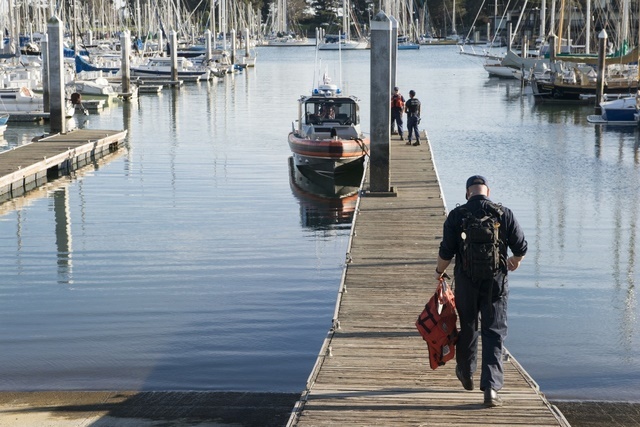 The Coast Guard arrived on scene along with crews from Berkeley Fire Department and Vessel Assist. 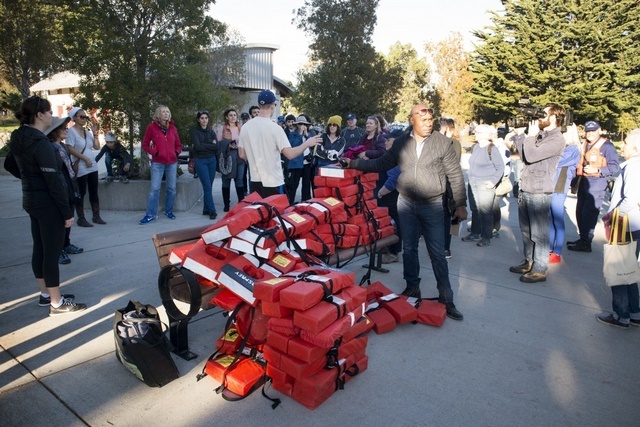 The crews evacuated 41 passengers and transferred them to the Berkeley Marina. Two Osprey crew members remained aboard with Coast Guard investigators. "When we pulled up to the vessel, we knew we needed to get the passengers off as safely and quickly as possible," said Seaman Jared Reyes, a boat crew member from Coast Guard Station San Francisco. "We were fortunate to be able to do so. It's what we train for." Two passengers reported injuries and were transferred to Berkeley Fire Department EMS. There are no reports of pollution. The cause of the grounding is under investigation. The Sockeye is an 87-foot patrol boat homeported in Bodega Bay, Calif.
More reporting on the dramatic rescue HERE! Looks like they scraped that reef alright. Osprey on the hard waiting for repairs.